Legendary nr. 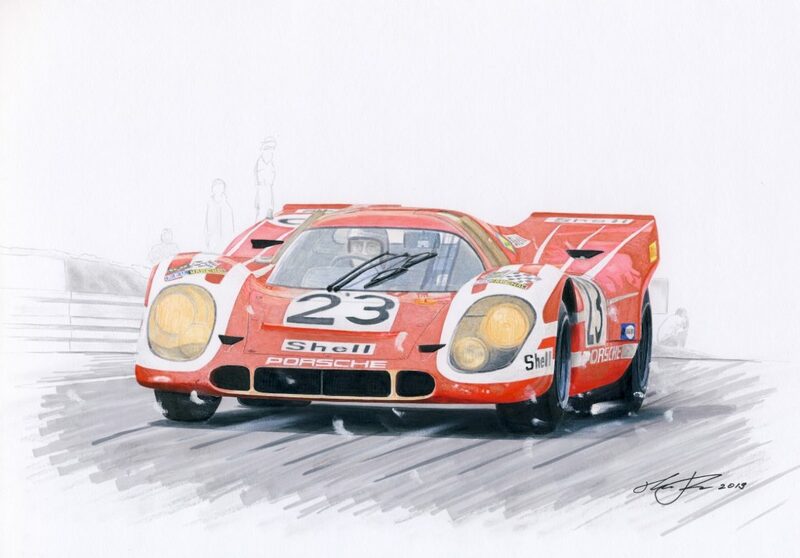 23 Porsche 917 on it’s way to the first victory in Lemans. Markers, acrylics and crayons on A4 size paper.